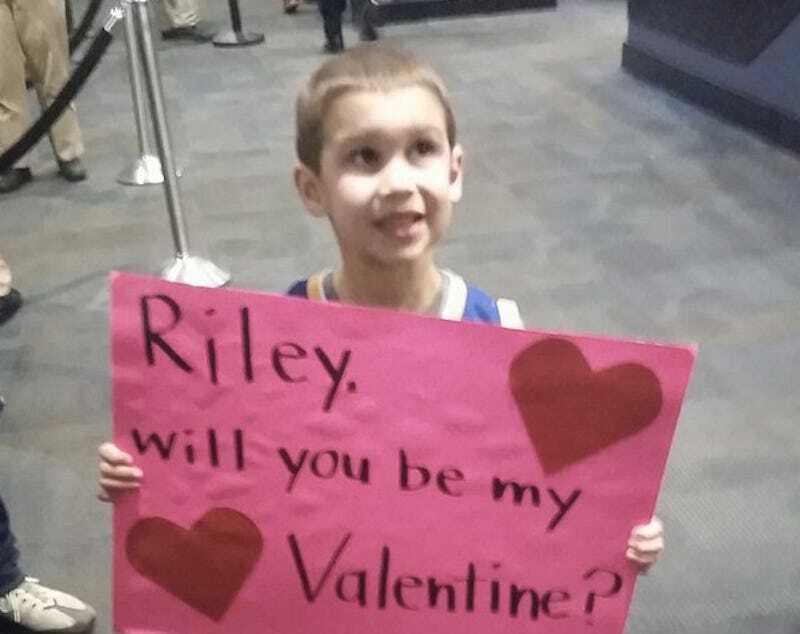 A 4-year-old fan named Lucas showed up at Wednesday night’s Warriors game to ask if Riley Curry, the Sports Baby of 2015, would be his valentine. He had a sign and an eager expression that was just waiting to be shot down. Get lost, buddy. Riley’s busy with press conferences she has to interrupt.